What a shameful Things, are their no security forces in Nigeria that herdsmen will continue to kill benue people on a daily without non been arrested or sent to prison, this is bad and shameful for a country like Nigeria. 2face Idibia is fed up and not happy with the continuous herdsmen killings in Benue state. The music icon could not hide his frustration about the latest clash in Benue state which has left a number of people dead. 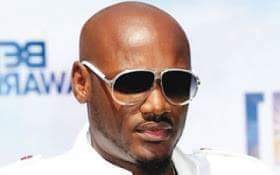 2Face Idibia on his Twitter page on Tuesday, March 2018, while reacting to a post by ChannelsTV made his own view known. “this is getting ridiculous. shameful,” he tweeted.